March 31, 2014 -- It was a simpler time just a few decades ago in radiology: film, patient jackets, Rolloscopes, lightboxes, and armies of transcriptionists and ancillary staff. But that was all about to change. They said the future was digital, so radiologists slowly and methodically blazed a path, leaving film behind and transforming the way they had always executed their craft, to make way for a better way. PACS was nothing short of a revolution, dramatically improving productivity, quality, and access. Fast-forward to today, and the PACS glow has vastly dimmed. What went wrong? PACS is a four-letter acronym, but lately many have been calling it four-letter words of their own. Brad Levin of Visage Imaging. Increasingly, many believe that the next PACS renaissance is here, but it's not PACS at all. The latest strategy for imaging informatics is actually "deconstructed PACS," where the core elements of PACS are best-of-breed or component-based solutions, integrated together using standards-based approaches. The end result is a state-of-the-art solution that yields dramatically greater benefits than traditional PACS, while enabling institutions to exert more control over their imaging informatics assets. The earliest PACS approaches cobbled together disparate systems that struggled to simply capture and move images across dual networks, one dedicated for images and one for demographics. Next, client/server PACS deployed thick-client workstations to do the work, which then gave way to Web-based PACS delivering images in browser-based viewers. Each approach had its own setof limitations that required creative operational and technical workarounds. By the mid to late 2000s, most institutions had gone digital for the first or second time, and analysts began to see on the horizon the next wave of replacement PACS. Except they were wrong. The wave never crested because institutions didn't want to replace PACS with PACS, trading one set of pluses and minuses for another set of pluses and minuses from a different vendor. The institutional pain of change was perceived not to be worth the investment for the anticipated gain. For many institutions, the years continued to roll into the next without much change. Problems and enhancement requests persisted, leaving a trail of radiologist wants and frustration, as well as limitations in productivity, referring satisfaction, accessibility, quality, and business flexibility. The steady drumbeat of modality innovations (e.g., computed and digital radiography, mega-multislice CT, PET/CT, digital mammography) continued to push the limits of PACS. For example, when large CT studies started to gain prominence, PACS rolled out improvements to reduce the time to first image display as a nod to performance. Technologists assigned to CT implemented prospective postacquisition workflows to thicken up thin-slice studies and perform multiplanar reconstructions as secondary captures. Another workaround was the local precaching of studies to disk, so PACS could seemingly stay ahead of the reading radiologist. And if advanced capabilities were required, there was always the specialty workstation over in "the other room, down the hall." I'm sure you are familiar with those workstations -- for advanced visualization/3D, templating, echo, PET/CT, cardiac CT angiography, diffusion imaging, cardiac analysis, etc. Women's health experienced a similar renaissance and spawned its own set of solutions for digital mammography interpretation, breast ultrasound, breast MRI, etc. These workstations function dutifully, but usually only if you are sitting right in front of them. The more workstations that cropped up, the more difficult they were to manage. Frequently, they each had their own viewers, and some came with their own image archives. Within the past few years, digital breast tomosynthesis (DBT) has rapidly become the de facto largest modality on the block, delivering massive studies 6 GB in size, comprising 1.5 GB per image, per breast, per view. And, of course, the size only grows when DBT and related DBT priors are considered. Traditional PACS was never designed to easily manage studies of this magnitude, and vendors are going through the same growing pains they went through in the mid-2000s when burgeoning multislice CT volumes were establishing a foothold. In the early days, PACS were defining for radiology practices. Groups marketed themselves on the strength of their PACS and referring physician viewers. Frequently, the viewers sold themselves, and referrals spiked as physicians directed their referrals to where they were provided the best imaging results. But as PACS became widely deployed in the mid to late 2000s, and innovations stagnated, PACS was no longer differentiating. Everyone had PACS. Viewers for referring physicians lagged behind the usability of mainstream consumer technology. Physicians were implementing electronic medical records (EMRs) and replacing their PCs, and image viewers wouldn't work with the browsers that came with the new computers. All the while, the practice of radiology got more complex. Health systems were expanding in size and scope, becoming payors and forming accountable care organizations. Hospitals were being merged and consolidated via acquisitions, forming large systems of heterogeneous PACS networks. The same things occurred in outpatient radiology through the development of large regional and national chains. Radiology groups developed hybrid reading models, where they would read for their own imaging centers, hospitals in the community, and other image-generating physician practices, in addition to bringing after-hours reads in-house. Teleradiology firms also expanded their focus beyond traditional teleradiology to include the provision of local radiology expertise, as well as anytime subspecialty reads from nationally deployed teams of radiologists. Today, these sophisticated workflows are in place throughout radiology; however, the manifestation of technology in practice is not a pretty picture. Just look around. Radiologist desktops have multiple workstations, each with their own mice, trackballs, speech microphones, high-res displays, etc. Mammography reading rooms are essentially mini heat islands, complete with a litany of workstations, displays, and keypads on the desktop, and some wall-mounted displays, too. Crowded physician desktops even spawned a creative name for the multiworkstation, multilocation reading paradigm that was evolving: swivel-chair workflow. And as the number of software applications, workstations, reading locations, and overall contracts grew, so did the size of the operational, training, and support teams responsible for keeping things working smoothly. At the turn of the millennium, a few visionary radiologists at the University of Alabama at Birmingham developed an enterprise archiving solution called the Super DICOM Archive. In 2002, IT visionaries in Minnesota developed what would be termed a vendor-neutral archive (VNA) years later. AuntMinnie.com's first article about that company described its solution as "a method of integrating and optimizing digital image management networks." Reflecting back, the launch of these archives represented a milestone in the deconstruction of PACS. They proved that you could remove the archive, or "A," from the PACS equation and not cause a catastrophic failure. It actually worked. And not only did it work, by focusing on the archive, these firms developed robust solutions that arguably had greater reliability and scalability than the "A" from PACS vendors. Years later, innovations were brought to the market such as image life-cycle management tools, support of XDS standards, and the consolidation of images across the enterprise, including DICOM and non-DICOM images. What these archive vendors brought to the marketplace was also control. Institutions no longer needed to purchase an isolated archive from all of their imaging vendors, and the conventional wisdom was that as they replaced their imaging solutions, they no longer needed to do migration after migration of their archived image data. As noted previously, the rise of the mega private radiology practice and multistate/regional health system has led to their fair share of workflow challenges. The difficulty of assigning who reads what and when grows exponentially when contractual quality-of-service clauses come into play. Why? Because today, subspecialty radiologists could be located at site A, site B across town, at home, virtually across the country, or, for some practices, across the globe. While "C," or communication, has always been an integral part of PACS, it has never been the focal point. For years, vendors argued the merits of RIS-driven or PACS-driven workflow, without an ultimate winner ever being named. Some PACS developed better, more intuitive worklists than others, but today, PACS has not adequately arrived at a solution that addresses the challenges of modern radiology workflow. Due to this inaction, new solutions spawned with the communication focus that traditional PACS lacked. Universal worklists and workflow engines were developed several years ago in an attempt to minimize and/or eliminate the challenges of the modern practice of radiology. Without a smoothly flowing operation, radiologists are less productive, studies are not interpreted in a timely manner, and the external image of the practice is at risk when there are operational failures. Streamlining workflow boosts productivity and minimizes the number of full-time employee (FTE) operational staff required to massage and flow the required digital paperwork, so the most appropriately trained radiologist who is available reads the right study (or studies), at the right time. HL7 is the bloodstream of the workflow engine, communicating with a variety of upstream and downstream systems. And once workflow is humming, the way to seek continuous improvement is through the availability of data analytics. Some of today's workflow engines include their own data analytics engines, while other robust independent analytics solutions are also available. No longer are practice analytics relegated to assumption or guessing; practices with analytics solutions can directly work with radiologists who have productivity challenges compared to their peers, as well as work collaboratively with their customers to better understand and consult around referral patterns that deviate from expectations. The componentization of PACS is also benefiting from integration advancements and simplified yet sophisticated application programming interfaces (APIs). Years ago, most system integrations were basic "fire and forget" commands. Today, integrations increasingly provide a patient-context-aware, intuitive, and rich user experience. These integrations offer flexibility using XML, COM, and other methods to provide the best user experience possible. In radiology, this translates to single-desktop bidirectional launching of images, access to current and prior patient reports, insights into valuable clinical histories, and, for mobile devices, the ability to deliver app-to-app integration. Images are the heart and soul of radiology. Radiologists sit in front of their workstations and viewers every day practicing the art of radiology, reading tens of thousands of studies per year. Given how integral images are to radiologists, it's surprising that today's workstations and viewers have nearly identical capabilities to the same systems that were implemented five to 10 and more years ago. During that time frame, however, the number of workstations and viewers has significantly spiked. For radiology groups and health systems that read on and/or maintain multiple PACS, the number of different user interfaces that need to be learned by radiologists can be in the dozens. Referring physicians served by those health systems with multiple PACS frequently don't know which viewer to open to view their patients' images. "Picture" is the first letter in PACS, but all too often with traditional PACS, viewer capabilities have lagged behind and only frustrate those they are supposed to serve. Deconstructed PACS enables institutions to gain control of their image volumes and optimize workflow, but perhaps most importantly, users are able to choose the best viewer available for interpretation and referring physician access. Whatever you want to call them -- enterprise viewers, universal viewers, univiewers, or archive-neutral viewers (ANV) -- viewer technology exists today that enables institutions to stop using the innumerable disparate viewers and instead consolidate image interpretation and referring physician viewing with a single viewer for nearly all clinical needs. This optimal viewer is fast and clinically adept, providing a single desktop for radiologists and referring physicians. Advanced visualization is a native capability of the best viewers and enables on-the-fly interpretation from thin-slice data. With a single viewer, breast imaging is no longer served with a separate island of viewers and workstations -- instead, digital mammography, DBT, breast ultrasound, and breast MR are all read with the same viewer. This same viewer also supports "-ologies" outside of radiology, such as cardiology and other image-generating areas, including the visualization of non-DICOM images. Finally, many enterprise viewers also support mobile access to images. By bringing together best-of-breed solutions for archive, workflow, and viewing needs, the sum is far greater than the parts. Each individual component can be optimized to deliver the very best solution available, but, additionally, the integrated solution enables the institution to gain control over its imaging strategy. As IT organizations have gained more influence and responsibility for imaging IT, they've been seeking solutions that enable operational improvement through the consolidation of images, consolidation of viewers, and physical reduction of the number of servers that drive them. IT is also seeking improvement in the security, business continuity, and disaster recovery of imaging IT. And now that IT has delivered the enterprise-wide accessible EMR (and health information exchanges), it can offer a single point of imaging-results access for physicians. Deconstructed PACS offers all of these attractive capabilities to IT. With the American College of Radiology's Imaging 3.0 initiative, radiology is focused not just on interpretation, but also on delivering value. While traditional PACS yielded productivity breakthroughs, recent years have delivered more of the status quo. Deconstructed PACS offers institutions the ability to leapfrog the capabilities of the past. Improvements and streamlining workflow and viewers enable higher quality, faster interpretations with greater accuracy, immediate access to all priors, and a single point of imaging access from the EMR. Furthermore, the benefits of image consolidation are well-known, as VNAs have been widely deployed over the past five-plus years. Deconstructed PACS enables these benefits, as well as insights via analytics, to continuously improve imaging IT operations. Through continuous improvement, access to state-of-the-art technologies, and higher-quality interpretations, radiologists can offer better service to referring physicians. It's time for deconstructed PACS to break down the barriers of traditional PACS, and set new standards of care for radiology. The time for deconstructed PACS is now. 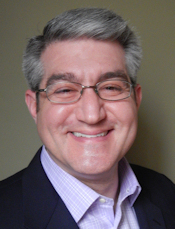 Brad Levin is the general manager, North America, for Visage Imaging. He is a frequent industry speaker and author, with a more than 20-year imaging career spanning government, consulting, and commercial roles.